United States representative-elect Rashida Tlaib, the first Palestinian-American woman to be elected to Congress, is planning to lead a congressional delegation to West Bank, Palestine in order to present an alternative perspective on the conflict between Israel and the occupied territory. Her delegation to Palestine is something of an admonishment of a traditional junket to Israel sponsored by the pro-Israel lobby group, American Israel Public Affairs Committee’s (AIPAC) educational branch. The trip dates back decades and is intended for newly elected members of Congress. Tlaib’s trip would show a very different side of the Middle Eastern conflict, humanizing Palestinians, and focusing on “Israel’s detention of Palestinian children, education, access to clean water, and poverty,” she said. Yousef Munayyer, executive director of the U.S. Campaign for Palestinian Rights, said Tlaib’s initiative brings something to Congress that hasn’t been seen before. 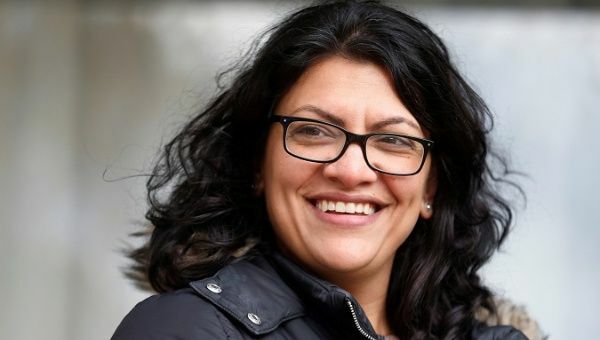 Tlaib, one of two Muslim women elected to Congress this year, openly supports the Boycott, Divestment, and Sanctions, movement (BDS) which seeks to punish Israel for its human rights abuses against the Palestinian in occupied West Bank and Gaza. The non-violent BDS movement, inspired by South Africa’s anti-apartheid movement, was founded in 2005 by 170 Palestinian unions, political parties, refugee networks, and women organizations, among others. In 2018, it was nominated for a Nobel Peace Prize. BDS calls for non-violent pressure on Israel through boycotting any organization linked to Israel, withdrawing investment from Israeli companies, and sanctioning the county until Israel recognizes the right of Palestinian refugees to return, ends the military occupation of Palestine, and ends the apartheid regime by recognizing Palestinian’s equal rights.